If you have found an elusive Marriott coupon make sure you are using it correctly and save as much on your next vacation as possible. Once you found the Marriott promo code you want to use from our page at CNN Coupons just select your check in and check out date. Select the number of rooms as well as guests per room. In the column next to where you enter this information, you will see special rates. From here select Corporate/ code and enter your code in the blank text box below. Click continue and your discount will show in your final price for the room. A fresh tip just for our readers. When you are staying at any hotel- Marriott included- make sure that you are booking as early as possible. This way you will get the best deal on all of your stays and you won't be left hunting around the internet for a Marriott promo code for a discount. AAA comes to save the day again. 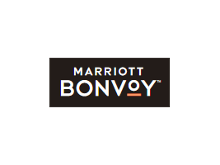 All Triple-A members will score up to 10% off at select Marriott locations. All you need to do to claim this Marriott promotion is enter your AA number at checkout and the discount should be reflected in your total room cost. If you are over the age of 62 you will instantly receive a Marriott promotion for 15% off each one of your stays. When you are entering in the information for your stay pay attention to the right column and select senior discount click it and you will be forward to the webpage to verify your age for the discount. Sometimes find a Marriott coupon might seem impossible. But if you are a smart vacation planner you won’t need a Marriott coupon code to save big on your next hotel stay. One of the best tips us here at CNN Coupons can give you for driving down the cost of your next Marriott stay is to investigate peak season and avoid it. If you are dreaming of a beach vacation in Hawaii maybe look at going in March - the weather will still be great and your room will be much cheaper. When there is no Marriott coupon code insight to help you save sometimes you have to go straight to the promotions page of the Marriott website. We have spotted many fabulous offers and discounts that did not require any sort of coupon to save. Whether you want to travel in the United States or internationally there is always vacation savings in your future with Marriott promotions. Frequent visitors to Marriott hotels around the globe should sign up for the Marriott Rewards Program as soon as possible. When you sign up you will be eligible for exclusive Marriott promo codes as well as other benefits like free in-room internet, and exclusive member rates on all hotel stays. For every dollar you spend as a Marriott Rewards member you will get 10 points. Once you have earned enough points you can redeem them for free or discounted stays.